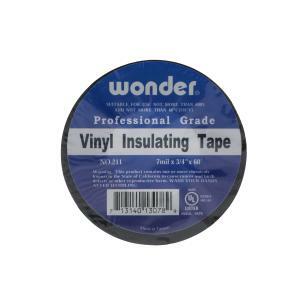 A good quality, economical general purpose vinyl insulating tape. This tape has excellent resistance to abrasion, moisture, alkalis, acid, copper corrosion, and varying weather conditions. It is a polyvinyl chloride (PVC) tape that is flame-retardant and conformable. It provides excellent mechanical protection with minimum bulk. It is a UL Listed and CSA Certified. Not suitable for more than 600V or 80°C/176°F.